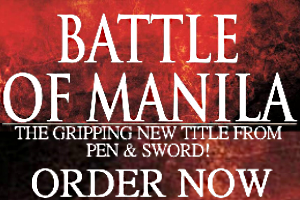 When your country survives an apocalyptic total war, its perspective on national defense takes on an a new meaning. The former Soviet Union was an armed camp ready for World War Three, mass-producing epic quantities of tanks, artillery, planes, submarines, and missiles until it collapsed. Of course, Armageddon never materialized and history ran its usual unpredictable course. But on either side of the defunct Iron Curtain the myriad tools of modern war remained, with untold numbers proliferating and multiplying. It’s the stuff made in Russia, however, that has a nasty habit of showing up wherever a war is going on. Be it yesterday, today, or tomorrow. Why? Maybe because these arms are rugged, effective, and very deadly. Since entering production in 1891 the bolt action 7.62x54mm Mosin Nagant was the right arm of the Russian Empire and the Soviet Union. Millions of these rifles in different variants were used before, during, and after both World Wars. Untold numbers were then exported to Soviet client states. Today the Mosin Nagant is very popular with North American gun collectors and military enthusiasts, who are attracted by the novelty of owning an antiquated but reliable long rifle from a bygone era. 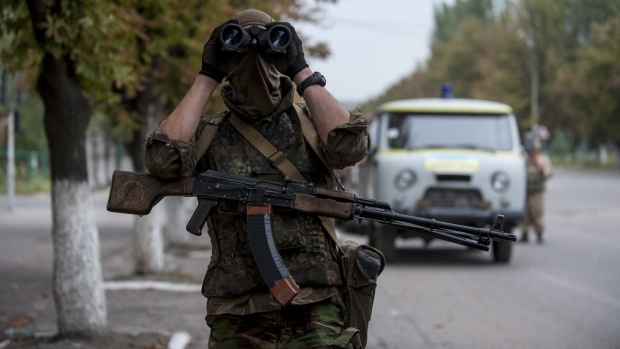 Earlier this year reports surfaced that European volunteers in Eastern Ukraine were using old Mosin Nagant “repeating” rifles for lack of assault rifles. It appears whenever scores need settling, the Nagant manages a comeback. 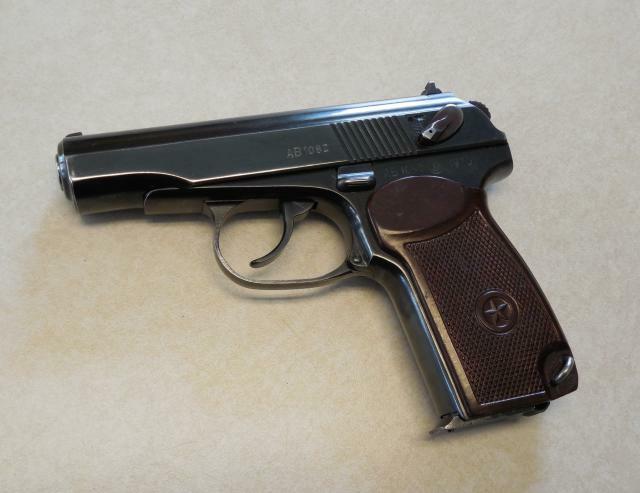 This lightweight 9x18mm handgun, the very definition of ubiquity, became the favorite sidearm of the Red Army, the Soviet police, and the Soviet intelligence apparatus in 1951. It quickly spread across the globe and was soon manufactured in Eastern Europe and China. Meanwhile, the Makarov is the Russian Federation’s most common handgun and the government only decided to replace it with a better selective fire pistol in 2012. If the Dragunov were a person, it would be contemplating its gray hairs by now. 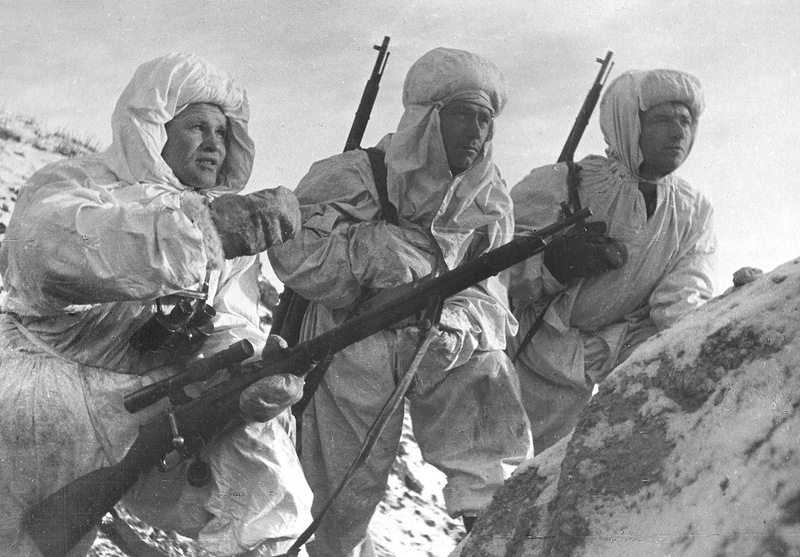 The ultimate modern sniper rifle began as a requirement for platoon-level sharpshooters in the Red Army. The resulting Dragunov SVD was a sleek 7.62x54mm semi-automatic rifle designed for long ranges. Its salient features are an extended barrel, a detachable PSO-1 optical sight, and a skeleton stock attached to the pistol grip. Introduced in 1963, it was the first of its kind in the world. 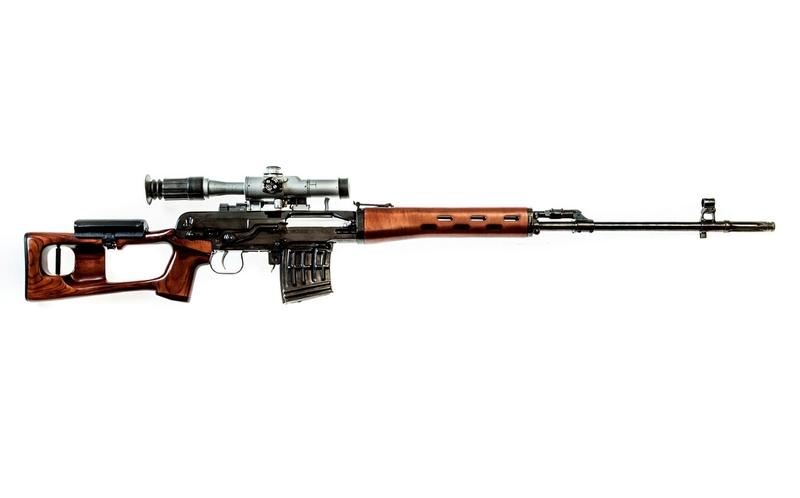 The Dragunov is an outlier for being a rifle designed for snipers rather than just a rifle mounted with a scope. As long as the Syrian civil war grinds on and Chinese special forces need a sniper rifle, the SVD and its clones have a bright future. An AK-103 with a GP-35 grenade launcher. Via Kalashnikov Concern. If mass violence and armed conflict persist until the 22nd century, it isn’t a stretch to believe the original 7.62x39mm AK-47 and its descendants will still be around. Aside from an estimated 100 million rifles built and its own mythology, derivatives and copies of the AK-47 are manufactured in 30 different countries. Thanks to the tinkering of various gunsmiths, the AK-47 is one of the few rifles–other than the AR-15–that is being hybridized into a completely different weapon. Even Russia hasn’t found a true replacement to an otherwise perfect rifle–the newfangled AK-12 is a slight improvement on the original. The RPK entered service in the 1960s as a squad level selective fire 7.62mm support weapon. To avoid encumbering its user, it’s fed by a 45-round magazine. A decade later new models were re-chambered for the 5.45mm round and called the RPK-74. Then the RPK-74 was returned to the 7.62mm round and became the RPK-74M. Being another invention by Mikhail Kalashnikov and his team, the RPK closely resembles an AKM but supports a heavier wooden stock, a larger magazine, and a long stroke gas piston installed above its elongated barrel assembly, which is supported by a bipod. Just remember that wherever there are AK-47’s there are also RPK’s. During the 1960s Mikhail Kalashnikov and his team were once again tasked with developing a revolutionary small arm, this time a machine gun. The result was the PK family of general purpose machine guns. The infantry variant was the PKM, recognizable for its 100-round box magazine, a carrying handle in front of the upper receiver, and wooden skeleton stock. Different versions of the PKM are built around the world and further customized. 55 years after it entered service, the PKM is on its way to join the MG 34 and the FN MAG as a timeless machine gun. Considering the sheer numbers currently available, the PKM will be fired in anger until the foreseeable future. It seems wherever there are AK’s there are also PKM’s. The peculiar DShK is the notorious adversary of the .50 caliber M2 Browning. In continuous production since 1933 this octogenarian is a favorite heavy hitter in many parts of the world. Chambered for the 12.7x108mm round, the DShK is recognizable for its muzzle brake, prominent front sight, and rectangular rear flip sight. Originally mounted on a wheeled carriage the DShK was later used as an anti-aircraft gun on an elevated tripod. 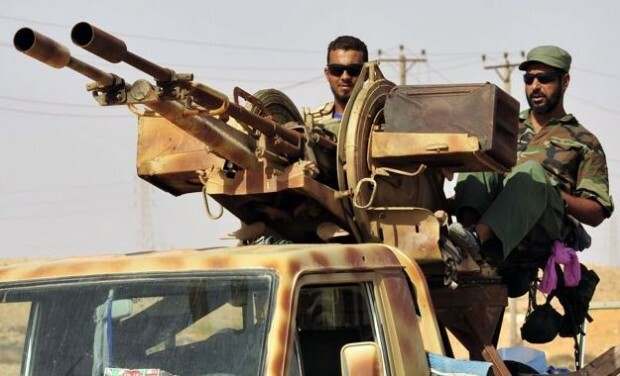 A popular machine gun for guerrillas and rebel armies the DShk found a new lease on life in the 1980s and 1990s aboard pickup trucks in Africa and the Middle East, a role that persists until the present. Owing to its weight and poor accuracy at extended ranges, Russia and China have developed new lightweight 12.7mm machine guns. But the DShk is just too famous to retire. First built in 1944 and entering service in 1949, the KPV is a belt fed machine gun firing the powerful 14.5x114mm round. Used extensively in wheeled armored transports like the BTR-series and BRDM, the KPV also proved an effective towed anti-aircraft gun as the ZPU-2 and ZPU-4. The KPV remains popular with armies and paramilitaries as a heavy machine gun capable of punching through armor. It’s widely used in Syria and Iraq, where it’s often mounted on a pickup truck. The KPVT continues to be manufactured in Russia by the V.A. Degtyarev Plant, the same company that mass-produces the PKM and the RPG-7V2. It’s surprising to learn the Soviets developed the RPG-7 as a muzzle loaded recoilless rifle firing a rocket-assisted anti-tank grenade. This is an important distinction from its counterparts in Western Europe. 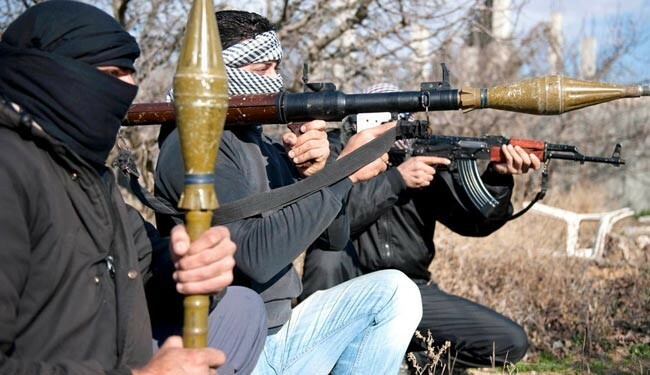 Recognized as the ultimate rocket launcher in any war zone, the RPG-7’s origins are quite mysterious. To this day, there is no consensus on the year it entered service. Some claim it was 1962, although the 1960s are accepted as the period it became known to NATO analysts. By the middle of the decade it was wreaking havoc in Southeast Asia and the Middle East. It soon spread to every corner of the world, destroying people, tanks, vehicles, helicopters, and buildings. The RPG-7 and its numerous variants are still made in Russia. More copies are mass-produced in North Korea, China, Iran, Egypt, several eastern European countries, and in many other places, including the United States and Israel. 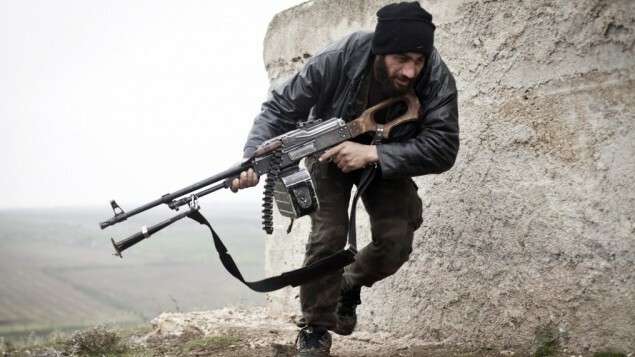 Simple and robust, the RPG-7 finds its way to every modern conflict. It’s just not going to disappear. Ever. Recoilless rifles were the great equalizers for infantry facing enemy tanks before the advent of rocket launchers and missiles. The SPG-9 served this exact purpose, a single-shot 73mm smoothbore barrel mounted on a collapsible tripod. 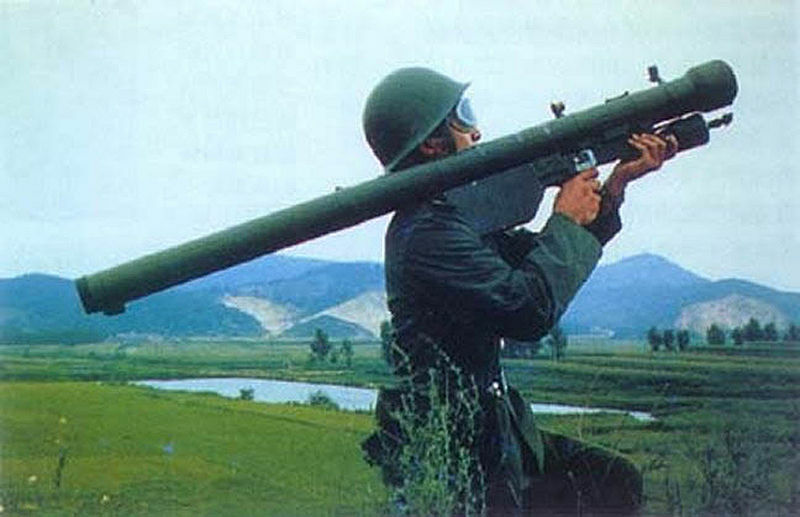 Although rather cumbersome, the SPG-9 could be lifted by a single person and hidden away after ambushes. This is exactly what endeared it to guerrillas and various irregular forces these past 50 years. Exported by the Soviet Union to its client states and allies, vast stocks of the SPG-9 remain in storage. Many were put back into service during the Ukrainian Civil War that erupted in 2014, with both sides using it as light artillery and a tank killer. The successor of the dreaded Katyusha set new benchmarks for rocket artillery around the world. 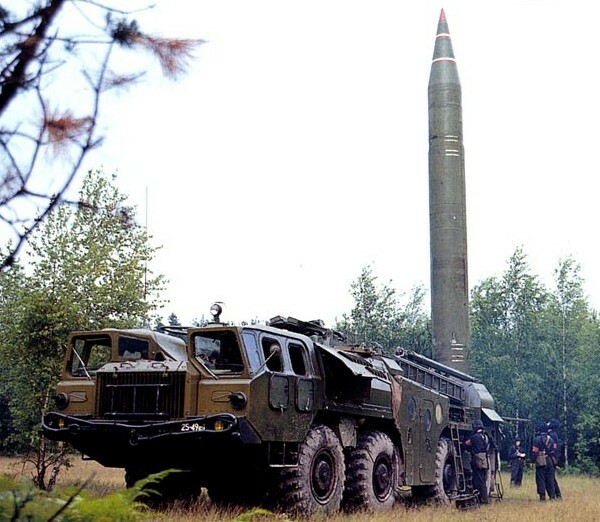 Since it was first introduced in 1963, the BM-21 inspired copycat systems across Europe and Asia. Its most endearing quality are the 40 122mm rocket tubes mounted on the bed of its truck, a rugged 6×6 Ural. 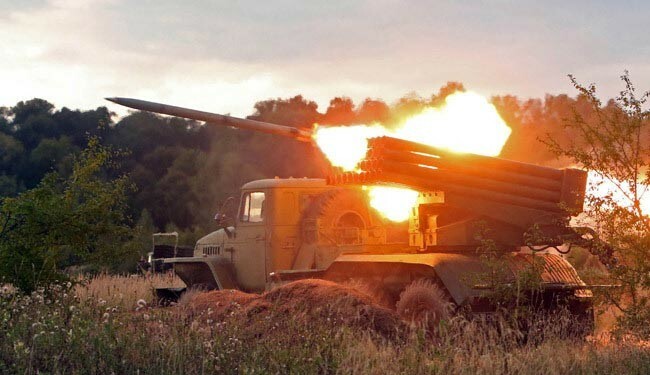 When fired alone, in pairs, or in whole regiments, the BM-21 can disperse enemy formations with terrific efficiency. Owing to its popularity, countries like Turkey, Serbia, Israel, and Indonesia are building their own versions of 122mm multiple rocket launchers. Russia has no plans to decommission its vaunted Grad launchers and the BM-21 is being improved with an automated launcher and GPS enabled targeting. With its peculiar design and powerful round, the D30 transformed modern artillery upon its introduction 60 years ago. Its elegant simplicity made it popular all over the world. To this day the D30 is laying down the law in conflict zones. Although more advanced towed guns are now available, the D30 is in use with 60 countries and manufactured by China, North Korea, Iran, Egypt, Sudan, and Serbia. It has been converted to a self-propelled system numerous times, often mounted on a tracked chassis. The D30 is the basis for the popular 2s1 Gvozdika self-propelled gun of the Red Army. In recent years countries like China, Kazakhstan, Serbia, and Sudan have built wheeled mobile artillery systems using the D30’s barrel assembly. Thanks to mass-production, the D30 plans to stay for a long while. 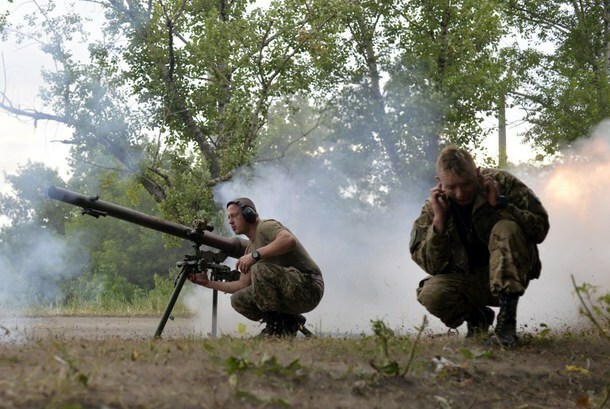 No other country in the world possesses as many anti-tank weapons as Russia does. Whether they be grenades, rockets, missiles, or field guns, the Russian military’s options for dealing with enemy armor are very broad. Russia’s anti-tank missiles, however, are a fearsome selection on their own. One of the oldest is the 9K113 Konkurs, designated the AT-5 Spandrel by NATO, the 9K113 was an improved version of the original 9K111 missile. Both systems use the same optics and launcher unit. The Konkurs was a fixture with Soviet ground forces since the 1970s thanks to the BMP-2 IFV and the BRDM-2 recce vehicle. As an infantry weapon, it was deployed by a three-man team. A single operator is required to launch and guide it from a prone position. To this day, the 9K113, which can penetrate more than 24 inches of armor, is stockpiled by various armed forces and license built in several countries. 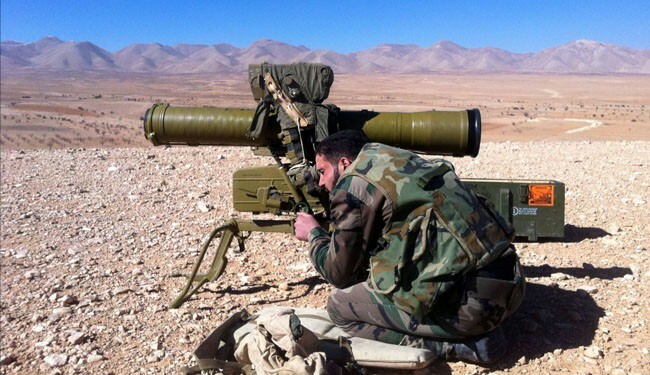 Even when Russian forces have better ATGMs at their disposal today, the 9K113 won’t be decommissioned any time soon. The Strela-2, also known as the SA-7 Grail, has been going to war since 1968, an unprecedented record for any man-portable air defense system. Deemed obsolete by today’s standards, the heat-seeking SA-7 remains in production outside Russia, where it has been supplanted by more advanced descendants like the SA-18 Igla. The foreign-made SA-7’s, however, don’t completely resemble the original and feature distinct modifications. These variants are found in China, North Korea, Pakistan, the former Yugoslavia, the Czech Republic, Slovakia, Bulgaria, and Poland, where it’s called the GROM. They’re also being exported to new customers, guaranteeing the SA-7’s legacy endures for decades to come. For more than 40 years the SA-7 is used or was previously operated by 60 different countries along with various paramilitary armies. When the T-55 arrived in 1958 it marked a considerable improvement over the earlier T-54 and 24,000 were reportedly built by the Soviet Union. The design was licensed to China where at least several thousand of these tanks designated as the Type 59 rolled off state-owned factories. 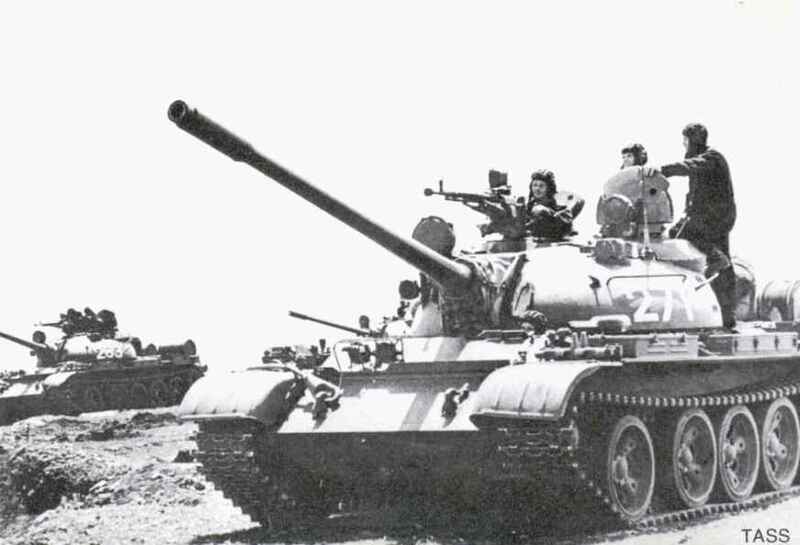 The T-55 was also built in Czechoslovakia, Poland, Romania, and Serbia. Thousands were exported to Arab states like Egypt, Libya, Iraq, Syria, and Yemen. 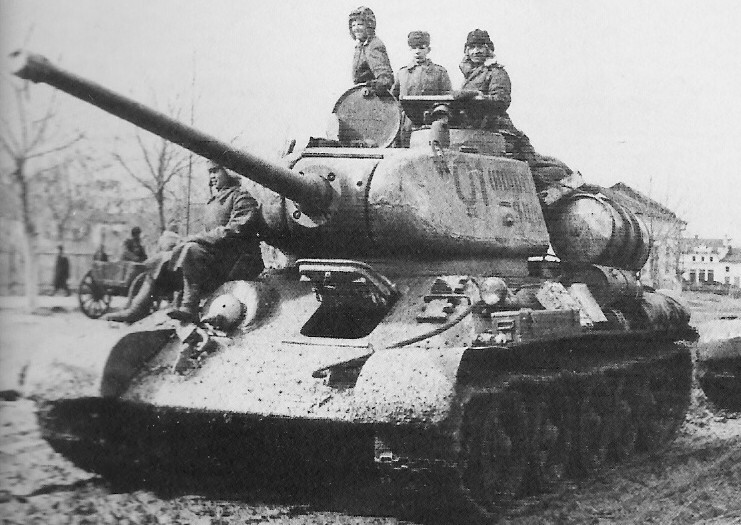 The total number of T-54/55’s manufactured could reach 100,000. But the T-55 is inferior to MBTs made after 1970 and is no longer a decider of conventional tank battles. It’s a popular choice, however, for supporting small-scale infantry assaults in unconventional wars fought across the Middle East and Africa. China, Bangladesh, Iran, Myanmar, and Pakistan have found ways to upgrade their T-55/Type 59 tanks with larger main guns, better engines and armor protection, and fire control systems. 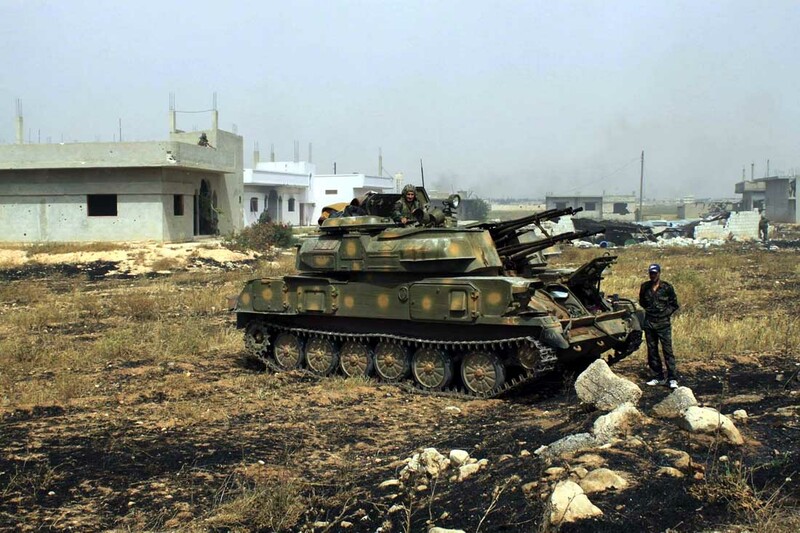 The T-55’s chassis is also convertible into an APC, an engineering vehicle, a mobile flamethrower, and a self-propelled anti-aircraft gun. The T-55 is a keeper. 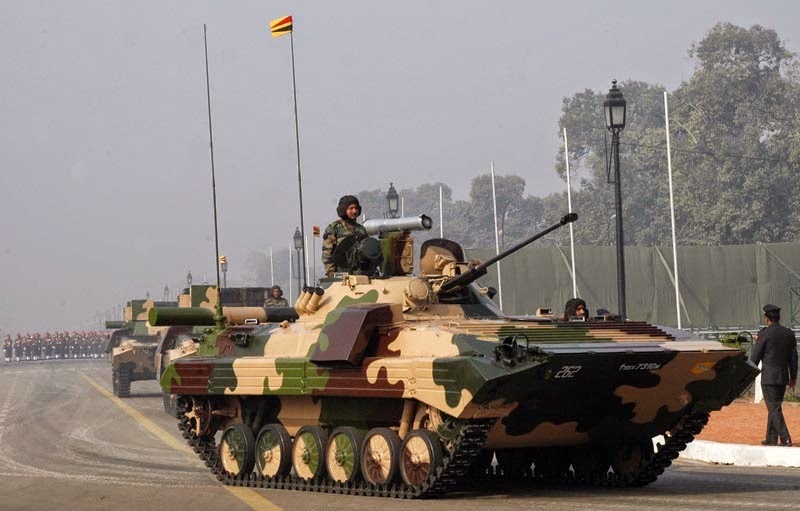 Pictured: An authentic BMP-2 at a military parade in India. To improve on the limitations of the BMP-1 the BMP-2 was developed for the Red Army and its allies. Designated an IFV, the BMP-2 was armed with a powerful 30mm cannon, a coaxial machine gun, and an AT-5 missile launcher. Although NATO and Warsaw Pact countries developed their own IFVs, none were as widely exported as the BMP-2. A common sight in the battlefields of Asia and the Middle East, the BMP-2 continues to defend its reputation as a formidable IFV despite punishing losses from missiles and anti-tank rockets. Not a BMP. 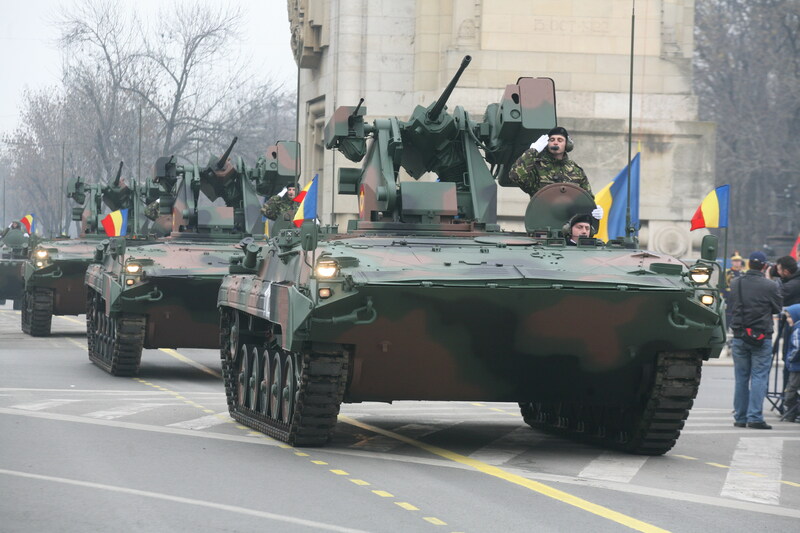 Pictured is a Romanian MLI-84, a locally-built BMP-1 with an interesting remote control turret that combines a 25mm Oerlikon cannon, a 7.62mm machine gun, and a tandem missile launcher. Today China, India, and Iran manufacture their own BMP-2’s. The Czech firm Excalibur Army can modernize BMP-2’s to meet NATO requirements. At the rate it’s being improved, the BMP-series will be deployed with armies for many years to come. The Russian Army, however, is prepared to replace the BMP-2 with the next generation Kurganets 25. But not yet. The Soviet Union emerged victorious from the Great Patriotic War with a vast array of proven munitions. One of them was the 23x152mm round used by ground attack aircraft. Too large for a conventional small arm, the 23mm gained widespread popularity in air defense. When lighter automatic cannons for ground forces became fashionable in the 1960s, the Soviet Union followed the same trend. 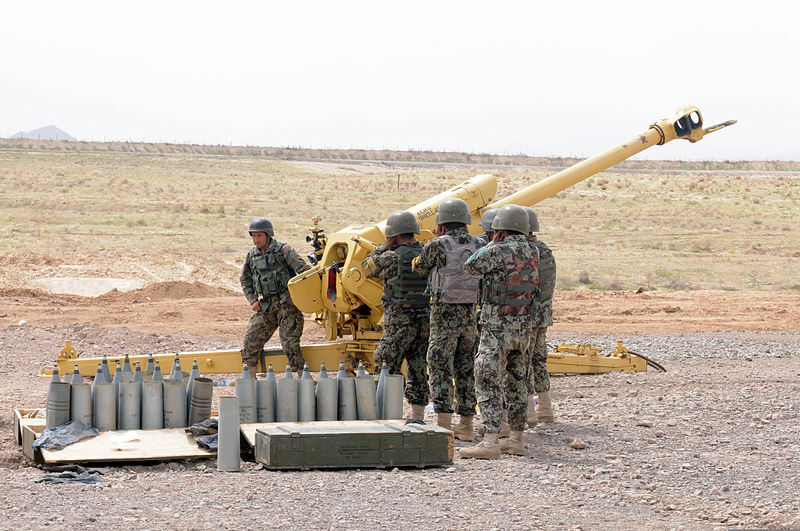 The result was the ZU-23, a twin-barrel towed AA gun. The 23mm cannon was also installed on a specialized tracked vehicle, the ZSU-23-4, the most prolific self-propelled AA system in the world. 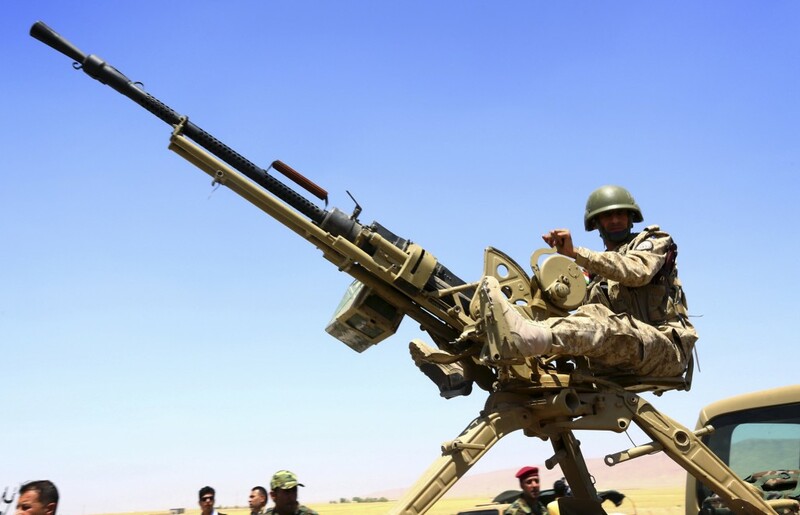 The ZU-23 is popular among irregular armies as an anti-armor and anti-aircraft weapon. Often mounted on truck beds, a mobile ZU-23 is a potent threat to helicopters, thin-skinned vehicles, and unprotected buildings. The 23mm round and its cannon continues to be in production thanks to its reliability. 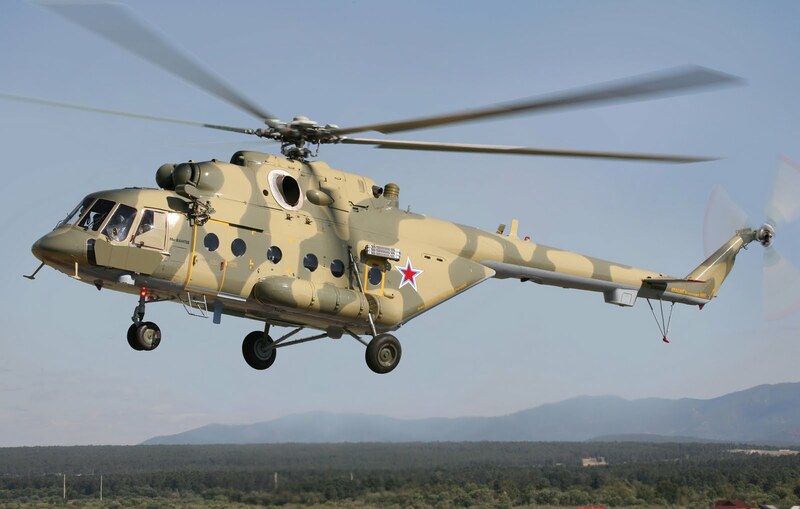 With more than 12,000 built since the 1960s, the Mi-17 is the best multirole helicopter in the world. There is no role it hasn’t performed, be it humanitarian (Nepal) or as a low altitude bomber (Syria). Designed to haul people and cargo, the Mi-17 excels at both and isn’t finicky with maintenance. This makes it a real bargain for air forces with small budgets. The helicopter gunship is an American innovation that the Soviets took to heart. 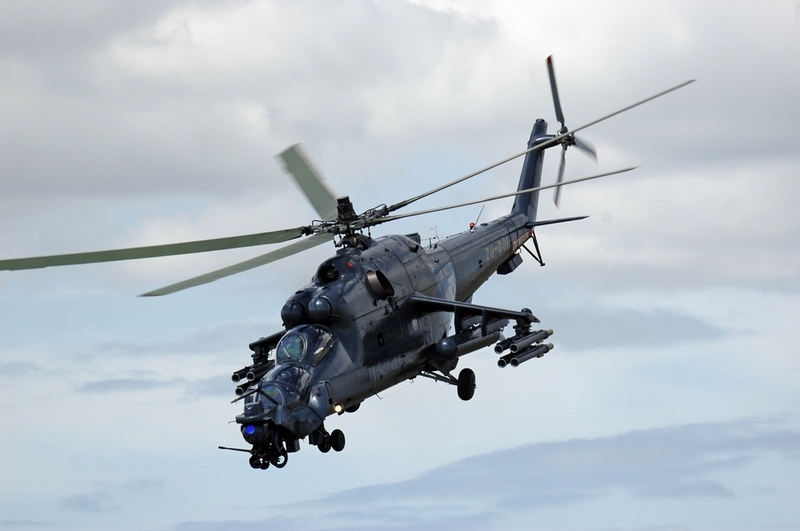 The menacing Mi-24 Hind’s development began in the late 1960s. It entered service with the Red Army between 1973 and 1976. Recognizable for its bulbous stepped cockpit, the Hind is designed to carry a squad of soldiers and attack ground targets. The 1980s was the Hind’s proving ground as it fought in Angola, Afghanistan, and Iraq. Manufactured in thousands, the Mi-24 became an icon of Soviet air power known for its incredible weaponry. Today the Hind is exported as the Mi-35M and manufactured by Russian Helicopters. It’s equipped with new avionics and two 1,500 horsepower VK-2500 turboshaft engines. In 2010, Brazil accepted its first Mi-35M attack helicopters. The air forces of Venezuela and Peru both fly the Mi-35M. In 2014, Russian Mi-24’s led airborne formations into the Crimean peninsula. That same year, Iraq deployed its Mi-35’s against the Islamic State. After more than four decades in the business, the Mi-24 is still going to war. When the MiG-29 first came to NATO’s attention in the early 1980s it was a major cause for concern. Here was a sleek new Soviet fighter that outmatched anything the West flew against it. Even the esteemed Federation of American Scientists (FAS) judged the MiG-29 superior to US third-generation fighters at close range. Since it entered service in 1984, however, the Fulcrum had few opportunities to prove itself. After the Cold War only fifth-rate air forces like Iraq, Cuba, Serbia, and North Korea intended to use it offensively, with limited and often dismal results. But the MiG-29 remains a popular choice among countries looking for advanced fighters. 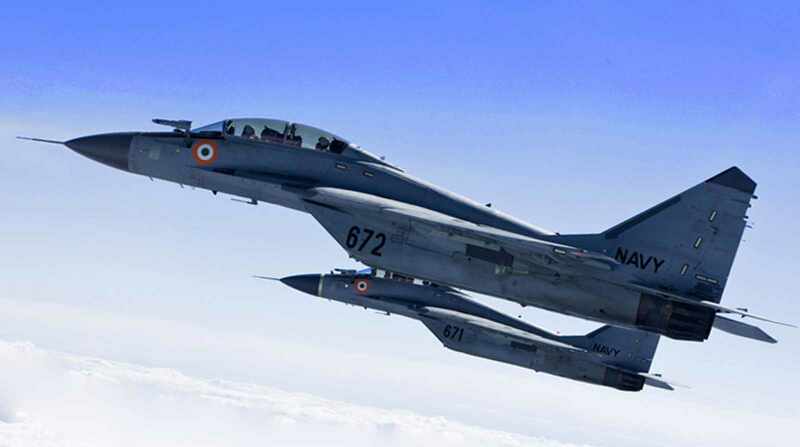 In 2013 India inducted its squadron of carrier-based MiG-29K’s. In 2015, Russia and Egypt inked a contract for brand new MiG-29’s. With 1,600 built so far, the MiG-29 and its variants is Russia’s bet for naval air squadrons and a solid alternative to its sexier peer, the Su-30MK2. Like their American rivals the Soviets understood the value of long-range bombers. As early as 1945 work was underway by the Tupolev Design Bureau to reverse engineer a captured B-29 Superfortress. This begat the Tu-4 and and Soviets soon focused on building enormous continent spanning aircraft for dropping atomic bombs. The Tu-95’s debut in 1956 made it the closest Soviet analog to the US Air Force B-52 Stratofortress ever made. Given the fearsome designation “Bear” the Tu-95 still had crucial differences from its rival. It was smaller than a B-52, albeit the largest turbopropeller-driven bomber east of the Iron Curtain, and was designed for carrying 26,000 lbs of dumb ordnance. It also had four distinct engines on swept wings, with each engine powering twin sets of propeller blades whose distinct whir made it the Tu-95’s trademark. Although infrequently used as a long-range bomber–it could strike the US heartland with its 8,000 km range–the 500 Tu-95’s the Soviets manufactured thrived as surveillance planes, submarine hunters, patrol aircraft and 17 other variants. India is the only country able to deploy a few Tu-95’s in a limited anti-submarine role. In 2007 the aging Tu-95 fleet began patrolling the airspace of different NATO countries, a practice that continues until the present. It’s estimated between 55 and 71 Tu-95MS’ are operated by the Russian Air Force today. On November 17, 2015, a flight of Tu-95’s along with other heavy bombers took off from Russia and launched a massive air raid on ISIS’ de facto capital Raqqa in northeastern Syria. Current plans to replace the Tu-95 are vague. It will likely stay in service for as long as Russian air power is relevant. In 1955 the Soviets deployed the first R-11 missiles after years of work by former Nazi scientists. It was a road-mobile liquid propellant system that could hit targets almost 200 km away. The missile’s payload was designed to carry weapons of mass destruction. NATO designated it the “Scud” for convenience because the Soviets never published its official name. By 1962 the newer R-17 “Scud B” became operational and was soon exported to allies and client states in the Warsaw Pact. Decades later it was discovered the R-17’s design owed much to the Nazi Wasserfall SAM. Although dismissed today as a crude short-range ballistic missile with questionable accuracy the R-17’s combat record is formidable. First used by Egypt against Israel during the Yom Kippur War in 1973 samples of the R-17 were exported to North Korea beginning in 1976. The hermit kingdom reverse engineered the missiles for its own purposes, thereby creating the Hwasong missile family, and sold these to rogue states. The Soviet war in Afghanistan and the Iran-Iraq War saw extensive use of the Scud missile. By Operation Desert Storm 24-hour cable news made it a household name and subsequent wars in Yemen, the former Yugoslavia, and in Syria prove it far from obsolete. In 2015 Yemeni forces launched multiple Scud missiles at targets within Saudi Arabia, proof that leftover Scuds are still effective. Although the Russian military has abandoned its Scuds, the problem is the technology to build improved derivatives is in the hands of North Korea, China, Iran, Pakistan, and Egypt. This partial list hardly does justice to the effectiveness of Russian-made weapons and some readers may balk that specific types weren’t included, i.e. the Simonov SKS, the AK-74, various Sukhoi fighter aircraft, the Kilo-class submarine. The truth is boring lists published online aren’t the arbiters of what matters in any battlefield. One simply needs to watch the news and observe how many Soviet/Russian arms and their derivatives are being used in ongoing wars. A crucial factor allowing these weapons to spread isn’t just Russia’s robust defense exports, but the growing number of third parties copying, modifying, and selling Soviet-era arms. China is an egregious example, but even Israel, Iran, North Korea, and various Eastern European countries are doing the same. It’s equally unnerving to contemplate how many potential wars are simmering where the belligerents possess some, if not all, of the weapons mentioned here plus newer and deadlier hardware like the T-90S, or the Pantsir-S1, or the SS-21 Scarab ballistic missile. 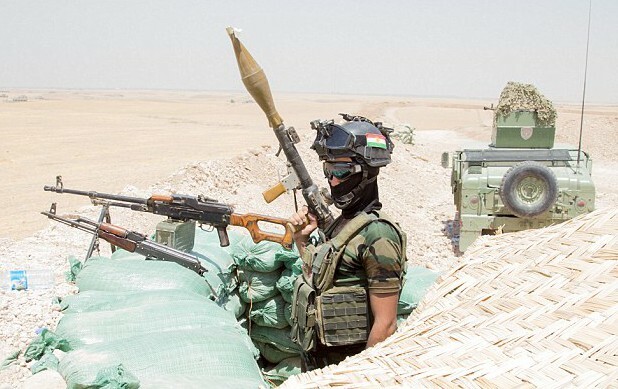 In this recent photo taken in Northern Iraq, a masked Kurdish fighter stands guard with a loaded RPG-7. Worth noting is how other Soviet-era small arms are clustered in the image, within easy reach. At the background is an AKM sitting next to a PKM machine gun. 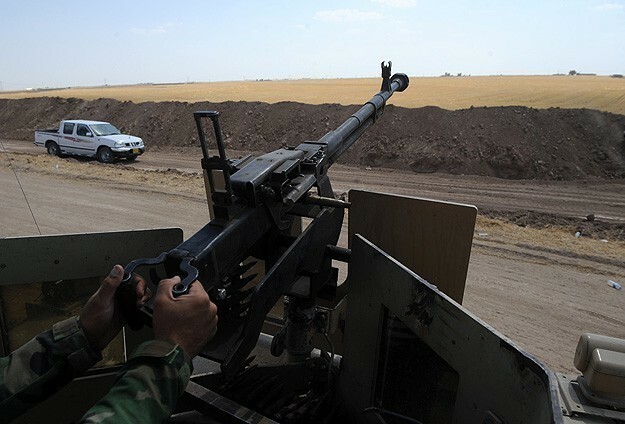 A few meters away is a US-made Humvee armed with a 12.7mm DShk machine gun. The scenario captured by this photo is a common occurrence around the world. Where one type of Soviet/Russian weapon is used, others are to be found as well. There is a pernicious myth that Russian and Eastern Bloc weaponry are inferior to their counterparts in the West. The nightmarish devastation wrought by the last 70 years of conventional and unconventional wars across Asia, Latin America, Europe, and Africa proves this a lie. As long as geopolitics remains a vicious cycle of one-upmanship, the demand for guns and killing machines “Made in Russia” will always be constant.